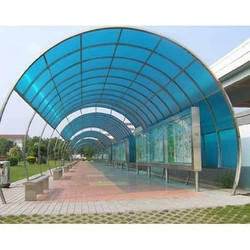 Leading Manufacturer of polycarbonate canopy, polycarbonate entrance structure, skylight polycarbonate shelter, polycarbonate shed, polycarbonate awning and polycarbonate door awning from Mumbai. Manufacturing of this Polycarbonate Canopy is done as per the set industry norms and guidelines, for maximum standardization of quality. The finest quality of raw materials and modern machines used in its making, gives the product superior sturdiness, commendable durability, an impeccable dimensional accuracy and high resistance to corrosion. Made available to clients at a market leading rate, the offered Polycarbonate Entrance Structure have a high preference in the market. 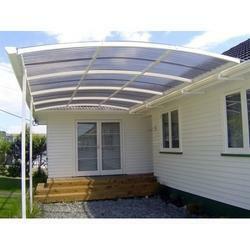 We are involved in manufacturing and supplying a wide range of Skylight Polycarbonate Shelter. The sheets are processed using the premium quality raw material. Moreover, the products are known for their high chemical resistance and heat resistance. The sheets are non-breakable and are available at highly competitive prices. Offered to clients at the best rate possible, the Polycarbonate Shed made available by us are known to be amongst the finest that is available in the market. Manufacturing of this product is done as per the set industry norms and guidelines, utilizing the finest raw materials that are available in the market. 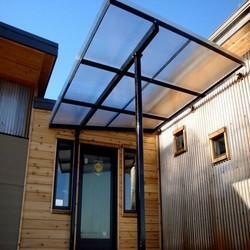 Further, the offered sheds are sturdy, durable and resistant to corrosion. 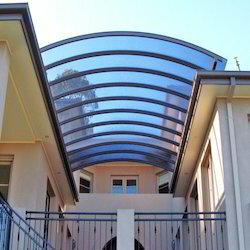 Being one of the leading manufacturers and suppliers of this commendable Polycarbonate Awning, we engage in using the finest raw materials and modern machines in their manufacture. 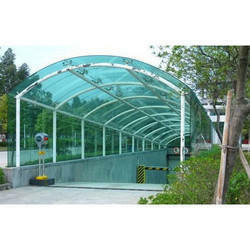 Owing to this, the range is characterized by superior durability and commendable resistance to corrosion. 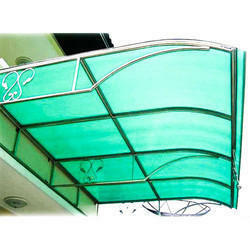 In order to maintain the quality of this Polycarbonate Door Awning, the manufacturing is done in accordance with the set industry norms and guidelines, utilizing the finest raw materials and modern machines. Further, its reasonable pricing and availability of various specifications, make it one of the finest that is available in the market.